Investigators move and look through the debris of the destroyed fertilizer plant in West, Texas, Thursday, May 2, 2013. 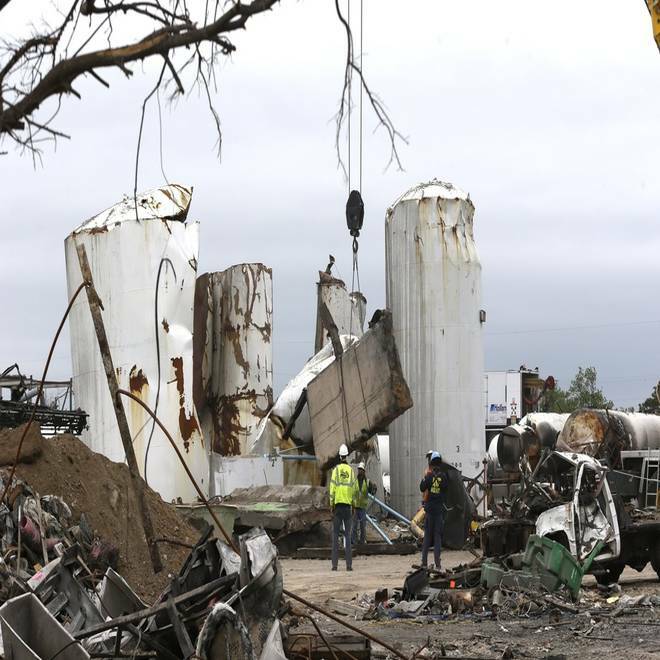 Bureau of Alcohol Tobacco and Firearms and Explosives investigators have so far found no evidence that a bomb caused last month's deadly explosion at a West, Texas, fertilizer plant, law enforcement officials told NBC News on Wednesday. The news comes ahead of a Thursday press conference at the site in which officials from the ATF will discuss their work to investigate the cause of the disaster and lay out their initial findings. Officials from the Texas fire marshal’s office are also expected speak on the explosion that killed 15 people and injured hundreds while leveling much of the tiny town, NBC Dallas-Fort Worth reported. It was not revealed, however, what precisely officials will say about the cause of the blast. And one official told NBC News that he did not expect mention of a first responder who is charged with owning pipe bomb components. Last week, the Texas Rangers and McLennan County Sheriff's Department opened a criminal investigation into the blast on the same day the paramedic, Bryce Reed, was arrested. Investigators have launched a criminal probe into the cause of the deadly fertilizer plant explosion in West, Tex. As the town recovers from the tragedy, it's dealing with another shock: the arrest of a paramedic who helped the victims. NBC's Gabe Gutierrez reports. Officials, however, have not made any connection between Reed and the opening of the criminal investigation. On Wednesday, Reed pleaded not guilty to one count of unlawfully possessing an unregistered destructive device.